I sincerely believe that the best way to appreciate a city is to just walk it. Even if you have just one day to hang around then take a map, draw a condensed walk and off you go. It is also dead cheap! It is only then that you can start getting rid of the tourist skin and getting to know the real character and face – or the many different ones – a city has and definitely not the one (those) that dodgy guides or funny travel agents want to show you. One such walk is about West and South West London. 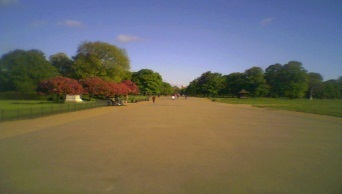 The starting point could be the south-west corner of Hyde Park. Make sure you arrive there early enough to appreciate the glory of the park in the early morning. It is only then that you can appreciate the peacefulness, serenity, even loneliness this park evokes. Drink up your coffee, take a big breath, get your camera ready (digital and virtual one) and you are ready to go. Go up Broad Walk and leave on your left the Kensington Gardens and on your right the Round Pond which is full of sezlongs and ducks moving bravely among the summer walkers. Walking up you might get lucky and see squirrels on the tree branches. The path will get you to Bayswater. If Greece could be squeezed/shrinked into one area in central London, then Bayswater would be the one. Of course this is also the place for people from Middle East to hang around, but the Greek element seems to be widely present around there more than anything else. Walk up Queensway and you can see left and right Chinese or Italian restaurants. You start to get the vibes as the area (and further up) is bustling with multinational restaurants. In the corner with Bishop’s Bridge Rd, you can turn right. There used to be a great kebab take-away in the corner which was marvelled through the surrounding windows before picking up the phone and ordering. Then, turning left to B411 you walk until Royal Oak tube station. You could cross and walk towards Warwick Avenue tube station and pay a visit to a great bar/restaurant called “The Waterway” which was just a truly splendid spot (it still is) to spend summer afternoons, preferably Saturdays or even Mondays and Tuesdays, sipping your chilled Chardonnay until early dusk and unwinding from daily or personal burdens. But this would get you quite of the main course – in terms of path and time – so you then turn left to Westbourne Park Villas. 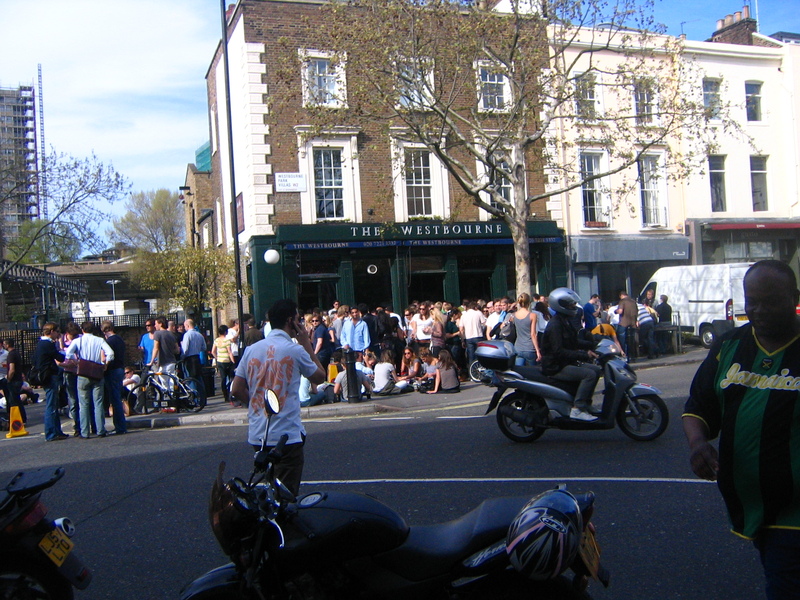 Walk around 200 meters and you pass by another great pub, The Westbourne. It is a fantastic gastropub with many characters that is great to hang around all year round. Either on a quiet December evening with all the Christmas lights all around or a late spring afternoon standing in the packed small terrace sipping your white wine or on an early August dusk drinking Pimms and having easy going and friendly chats. Move further on Westbourne Park Road and turn left to Chepstow Rd until you reach Westbourne Grove. You can walk a bit west in Westbourne Grove where you can get ideas for an afternoon dinner – even Brasilian or Malaysian restaurants are there – and you are not excused if you cannot find one that suits you – and then, returning back, you step into Notting Hill. For the last 1-2 hours or so you have been wandering in Bayswater and now you are in Notting Hill lands. You walk until the end of Westbourne Grove and you can lose yourself for a while in Notting Hill. The area is definitely worth a visit any time of the year, but do avoid on a Saturday midday Portobello Road, because it is so packed with people that it makes you cry. A nice addition to the area is the all-time classic BBB in Chepstow Crescent where I have spent a small fortune on drinks. There are also small hidden treasures around, but you need to look for them. Half an hour will do in the area so you can then make your way to Notting Hill Gate tube station. Walk down Kensington Church Street and you bump into “posh” Kensington. Church Street, apart from the numerous antique shops, has some nice places to hang around with the pinnacle of Kensington places being Churchill Arms – a superbly simple yet with delicious food pub-camouflaged Thai restaurant that is definitely a must when in London. Even if it is 10:00 do go for a curry. At the turn of Church Street turn right into Campden Grove and then at No 10 (as if his excellence lived there) turn left, walk by a cosy local pub – The Elephant and Castle – and make your way to Kensington High St through a mostly superb and utterly charming alley, Kensington Church Walk next to St Marys Abbot Parish Church. The highlight of Hammersmith is definitely the riverfront with some marvellous pubs – my favourite was The Dove – where I can still remember myself almost dozing in those lazy summers with a pint of beer in my hand almost ready to fall into the water or another time watching the Oxford-Cambridge rowing race with tones of beer and sandwiches in the grass of Furnivall Gardens. Moving east of the Hammersmith Bridge you can start a great walk for roughly forty minutes that takes you all the way to Putney. The path goes on and off next to the Thames. The human ear – trained to the sounds and noises of a bustling city centre – now gets some rest. There is some weird peacefulness and serenity all around and you can listen just to the tweeting birds, the odd boat roar passing by, a bell ringing of the passing-by bicycle and, what else, the sound of the airplanes above your head getting ready to land at Heathrow. And then, somewhere there in your sound spectrum, there is this city humming that you can listen in the back ground and it really makes you feel you are somewhere away from busy and noisy city centres. It is a great walk to do with a friend and chat about anything and it really sends vibes of a different London. It is just a magnificent walk, the end of which presents you with Fulham FC football stadium and then a cosy little park – Fulham Palace Gardens. The special thing with this walk is that while you believe that the whole waterfront is greatly underdeveloped – myriads of restaurants, pubs could spring up anywhere – at the same time you find yourself cherishing this very quietness, serenity – even melancholy I would say – and wishing that this waterfront stays the same. The path will get you to Putney. Just before crossing the bridge, cast your eyes to the south bank and you can see the rowing clubs where on Saturdays rowers gather like flocks of seagulls. Cross the bridge and find yourself in another splendid area. Putney. 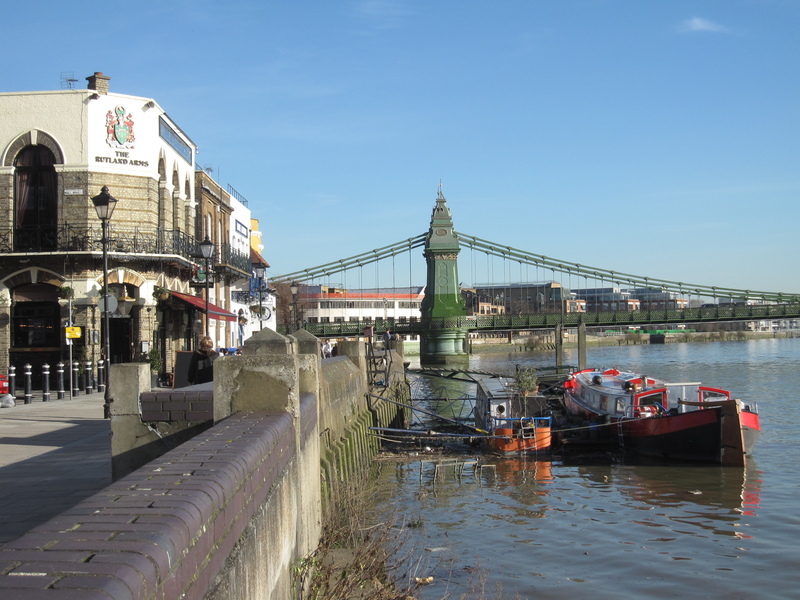 Spend some time on either side of the bridge next to the waterfront (on Saturdays there used to be a small outdoor market), get a coffee or a sneaky pint – depending on the time of the day – walk up and down Putney High St and then make your way to the east of the bridge. 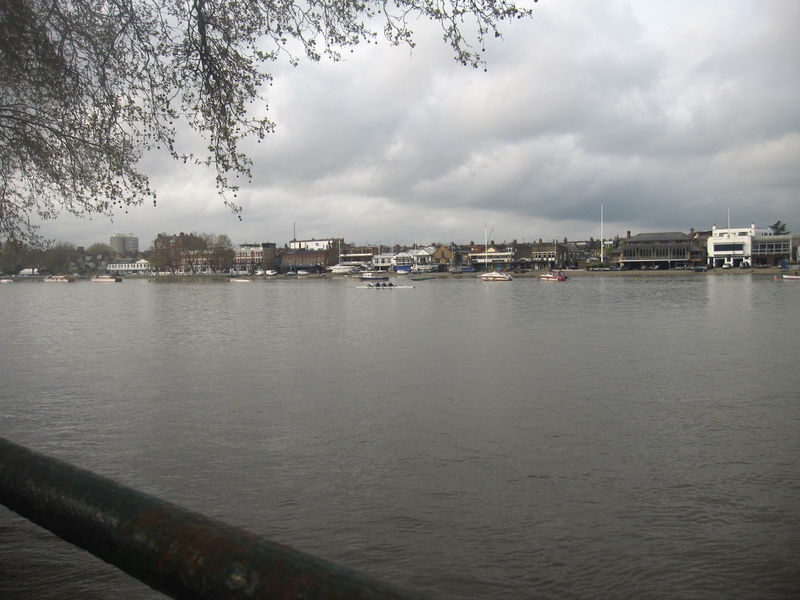 Walk by Wandsworth park, appreciate another small and cosy part of the waterfront – Point Pleasant, a great cosy café next to the Thames – turn right and walk all the way up Wandsworth High Street up to East Hill and then all the way in A3036 to Clapham Junction. 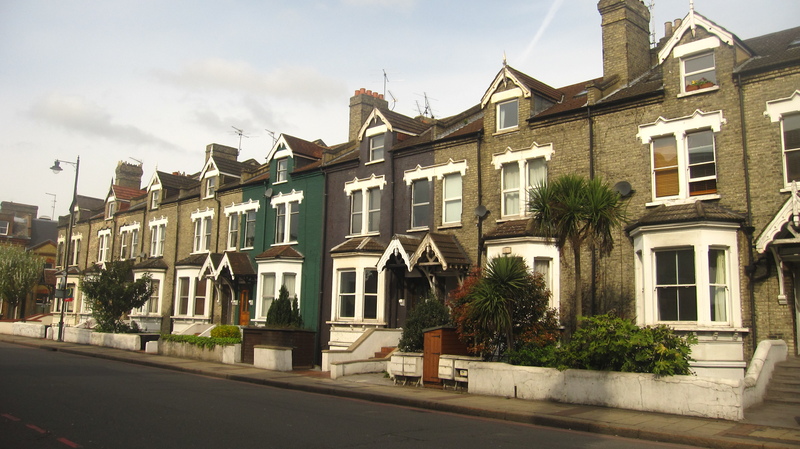 Clapham, 10 – 15 years ago was considered just an area south of the river – and we all know how these areas “south of the river” were characterised. Today it is a whole new story. Turn right at St John’s Rd, admire a stylish and warm neighbourhood with plenty of options for eating or drinking and then walk all the way to Clapham Common by turning left to Battersea Rise. The park spreads in awe infront of you and is really an oasis for Sunday or Saturday walkers. Of course, this park has been linked with some funny behaviours in the past, but it still is a great place to hang around. 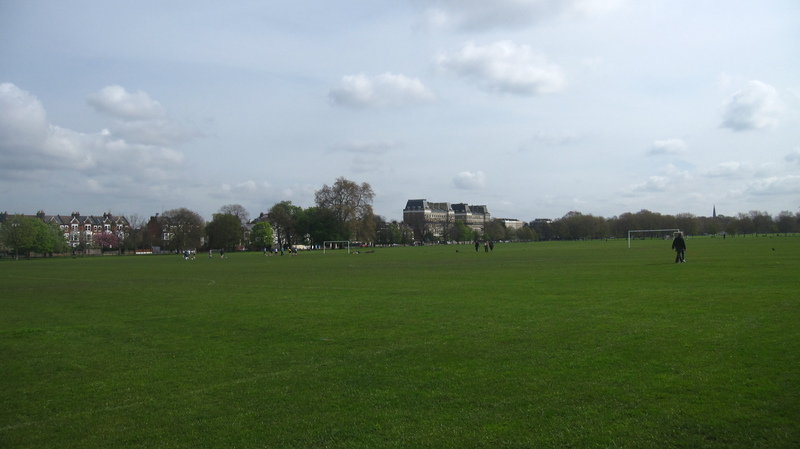 At the east end of the park you can find Clapham Common tube station. 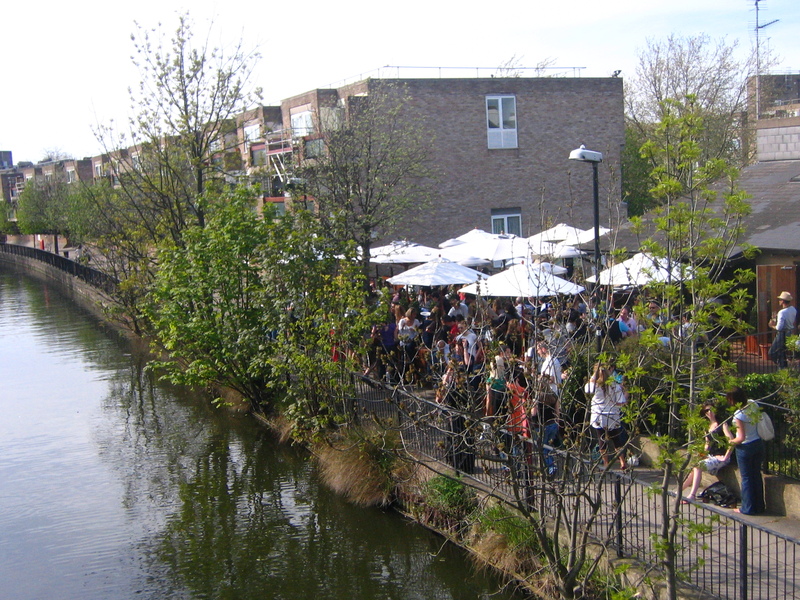 There area is bustling with young people and there are some nice bars and restaurants around. Of course next to this area is Brixton and one has to be slightly more alert – many people will say – but this should not get you discouraged from visiting the area sometime. 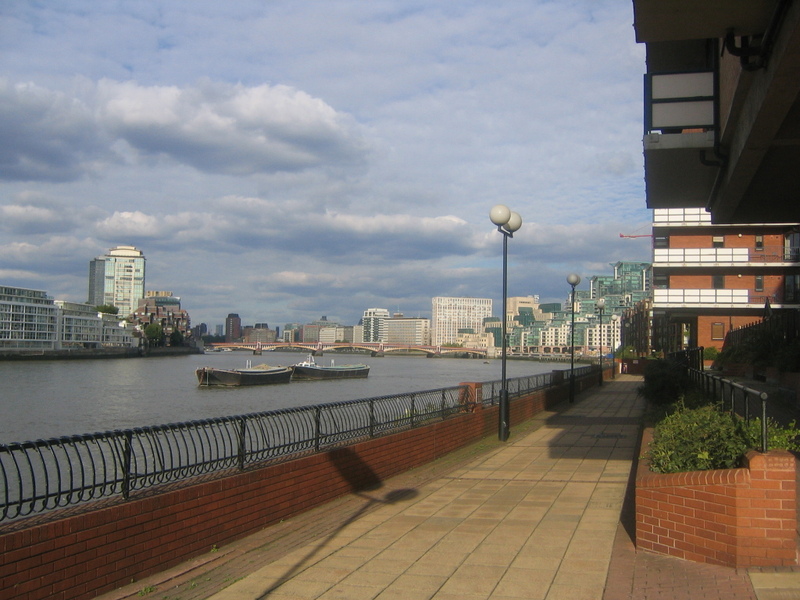 The walk will take you to Clapham North and then after Stockwell all the way to Vauxhall where you can marvel the MI6 building and some new impressive block of flats by the bridge and a bit further west – just by Nine Elm’s Lane; another area that brings back memories. Vauxhall in the last years has been transformed compared to what it had been 10-15 years ago. Then you have two options. One is to walk further west, spend some time in Battersea Park and marvel among other things the Peace pagoda and then cross Albert Bridge and find yourself in Chelsea. 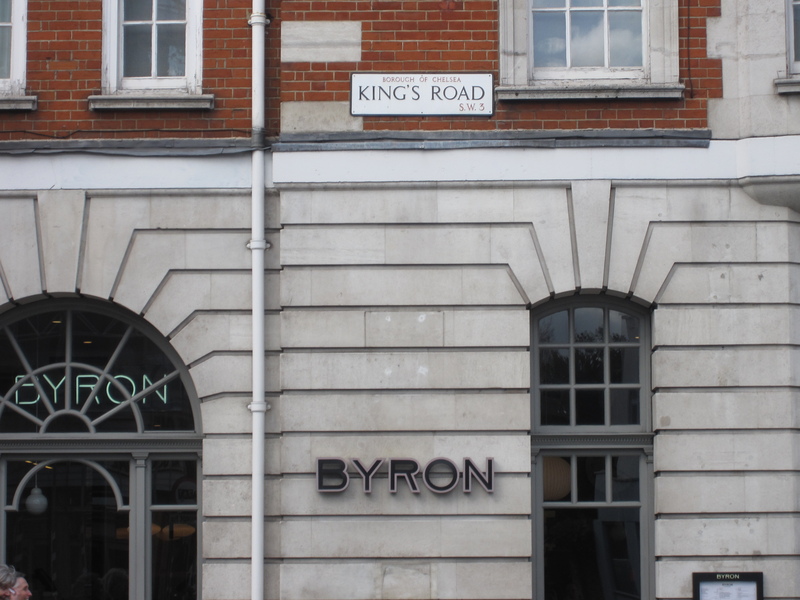 Walk Oakley St and then turn left or right to King’s Road and spend some time there. On a Saturday it is a great place to hang around. Then you can find your way back to the starting point. The other option – slightly more touristy – is to walk Vauxhall Bridge Road all the way to Victoria, pay a visit to Buckingham Palace, check St James Park and then via Hyde Park Corner – the south-east corner of Hyde Park – Knightsbridge and South Kensington, walk until the starting point. This walk is a tiring, serious and demanding walk, yet a very enjoyable one. It is roughly 25-30 kilometres long and it will cost you around 8-10 hours of your time depending on the diversions you take, the buses you take (or not) and basically all “bells and whistles” on top of a main flat walk. Roughly speaking if you start at 07:00 you aim to have finished before 18:00. This walk is neither for namby pamby walkers nor is it a “tourist” walk. It is not about spending time marvelling the landmarks, visiting museums, taking photos or just wandering aimlessly in the city centre. This is a quickly executed urban walk. A walk that manages to encompass – and present you – a large part of west/southwest London (the houses, the architecture, the people, the atmosphere, the river…) in a way that at the end of it you will have taken a good sniff of how urban, everyday (even rough) London – not Leicester Square or Oxford Circus – looks like and functions – even if some of the areas attract funny or even defamatory comments. I do agree that it is a walk for those that have been some times in London. I do also agree that in order to execute this walk there has to be present a touch of sentimental connection with some of these places. But in the end such walks are those that present to you the true London. It is such walks that make people truly Londoners.